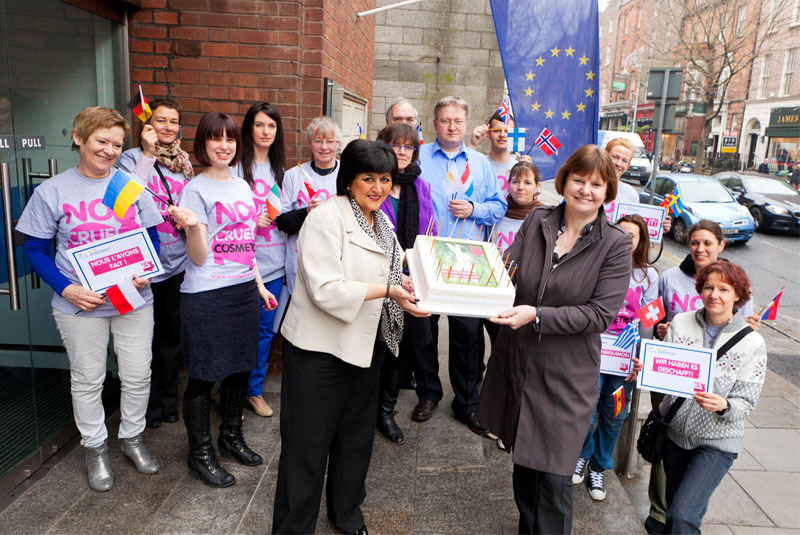 AFC - 03/11/13 EU without Cosmetics Tested On Animals! 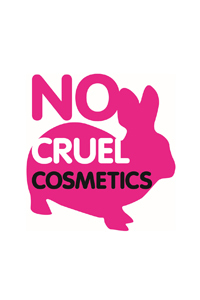 03/11/13 European Union without Cosmetics Tested On Animals! Europe finally said NO to cruel cosmetics! In 1992, the European parliament voted to end cosmetics testing on animals. But, mostly because of the fierce opposition from the powerful cosmetics industry lobby, the ban had been postponed for years. Four years ago it became illegal to test ingredients of cosmetic products on animals, but with exceptions. The complete ban on sales of cosmetics tested on animals in the European Union comes into force on March 11, 2013 thus banning the import and sales of cosmetic products and ingredients tested on animals within the EU countries, and companies wishing to sell new cosmetic products and ingredients in the EU must not test them on animals anywhere in the world. Animal Friends, as a member of European Coalition to End Animal Experiments (ECEAE) which has been working towards ending testing on animals for 23 years, is proud to see this historic victory which proves that experiments on animals are not necessary. At last week's meeting of the ECEAE in Dublin, attended by an activist from Animal Friends, representatives of organizations from the ECEAE and BUAV (the British Union for the Abolition of Vivisection) celebrated this massive achievement by bringing an appropriate cake to Barbara Nolan, director of European Commission representation in Ireland. 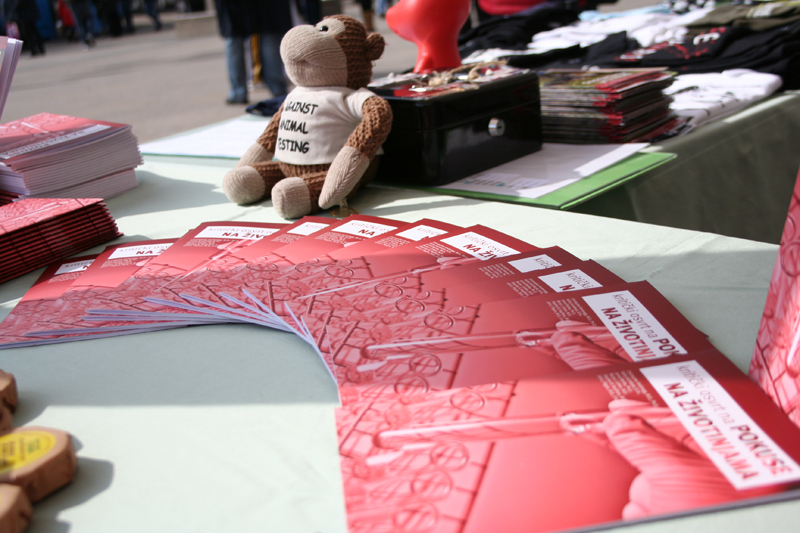 Animal Friends join similar organizations and citizens throughout Europe and mark this important date by presenting a new educational brochure A Critical Look at Animal Experimentation that was written by medical professionals and scientists, and it has been published in collaboration with the publishing house Dvostruka Duga. The brochure lists reasons in a thoughtful and intriguing way to show that larger and larger numbers of scientists and clinical specialists dispute experiments on animals based on proof about their inefficiencies and unreliability. The brochure will be sent to relevant individuals and scientific institutions that could use it in their work, and it is also available on Animal Friends' web site. This publication indicates the next step - ban on experimenting on animals for so called scientific purposes and using many available replacement methods of testing which are more reliable and cheaper than testing on animals. On Monday, March 11, 2013, on Trg bana Jelacica in Zagreb, from 11 A.M. at the Animal Friends stall, citizens will be able to sign the petition for a complete ban on experimenting on primates in Croatia. They will get a copy of the brochure, as well as the White List – the list of all the companies that do not test their products on animals. At the stand there will also be vegan fragrant soap Anima available, which has been made especially for Animal Friends. 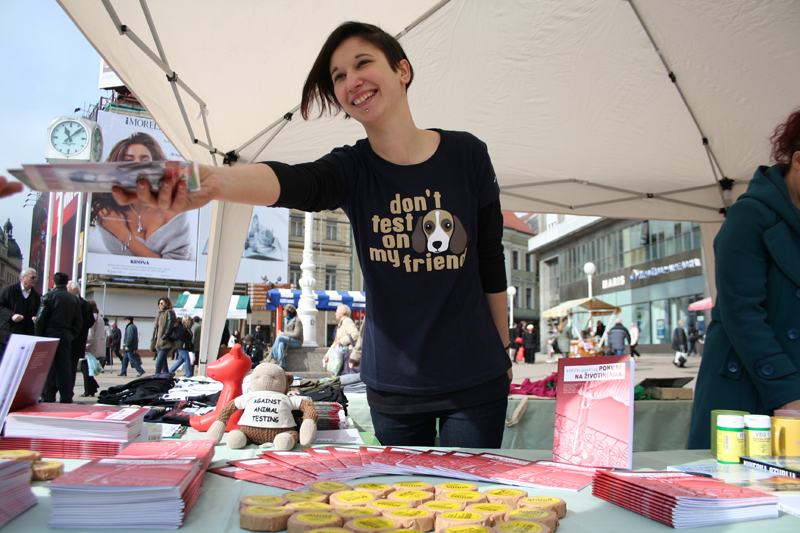 Animal Friends thank everyone who, along with other citizens of Europe signed the "No Cruel Cosmetics" petition and collected 250,000 signatures. Last year the ECEAE handed the petition to the European Parliament in order for the ban of sales of cosmetics tested on animals to finally come into force. The European ban on the sale of cosmetics tested on animals is the scientific community's acknowledgement of the scientific irrelevancy of experimenting on animals, as well as a clear proof that many in vitro methods of testing are far more effective, accurate and safer for people than torturing and killing of animals. Outside of the European Union, Israel, at the beginning of this year passed a law that bans the sale and import of cosmetics and cleaning products that have been tested on animals. Experiments on animals "for research and development of chemical products for cleaning and disinfection of general items" are still banned even in Croatia, however the proposed change in the Animal Protection Act that is being considered at the moment, suggests lifting this ban. This would lead the Animal Protection Act to move backwards, unless there is an amendment, which would cause huge damage to animal protection in Croatia.